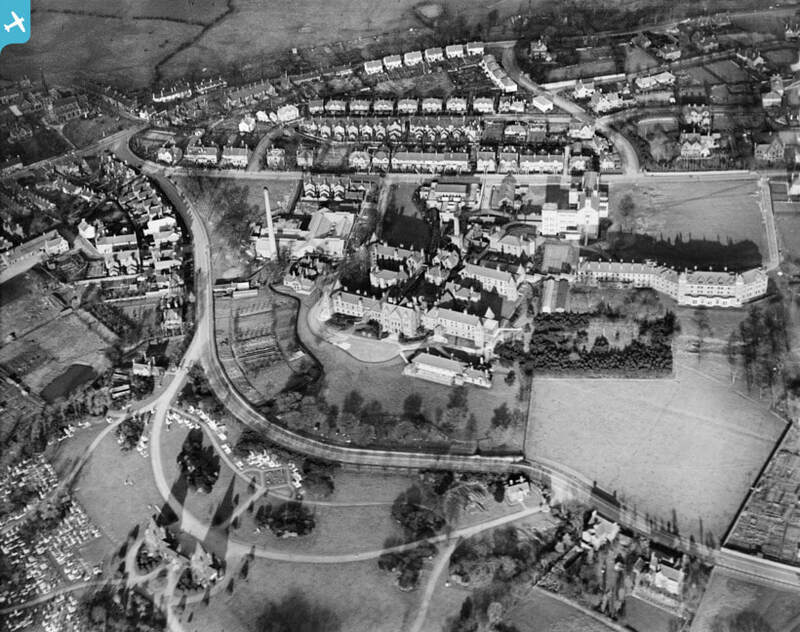 Photographs of Hartshill in the Past. Many of these photographs are from the Andrew Dobraszczyc Collection which was created for exhibitions as part of the Hartshill Festival in the late 1970s. 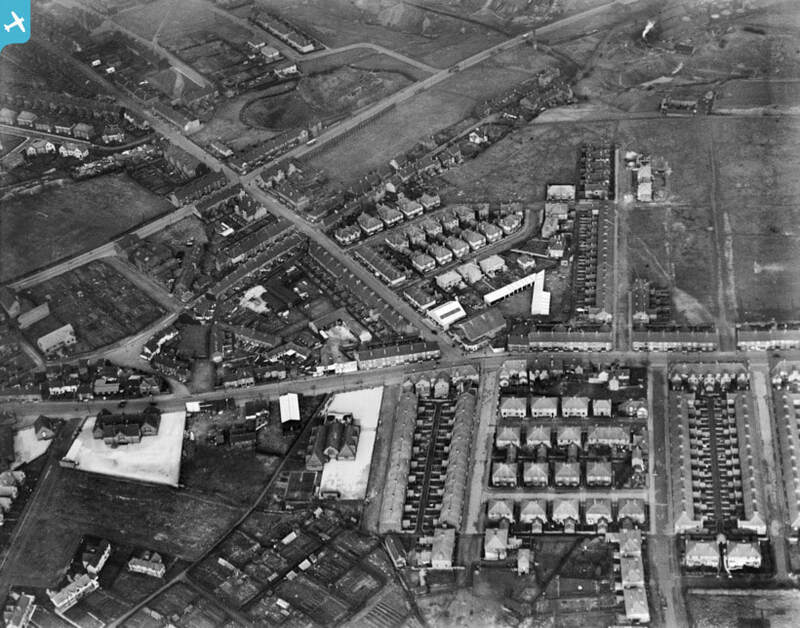 The Photographs are as follows : Top - Hartshill Road centred on the junction of Hartshill Road and Victoria Street. 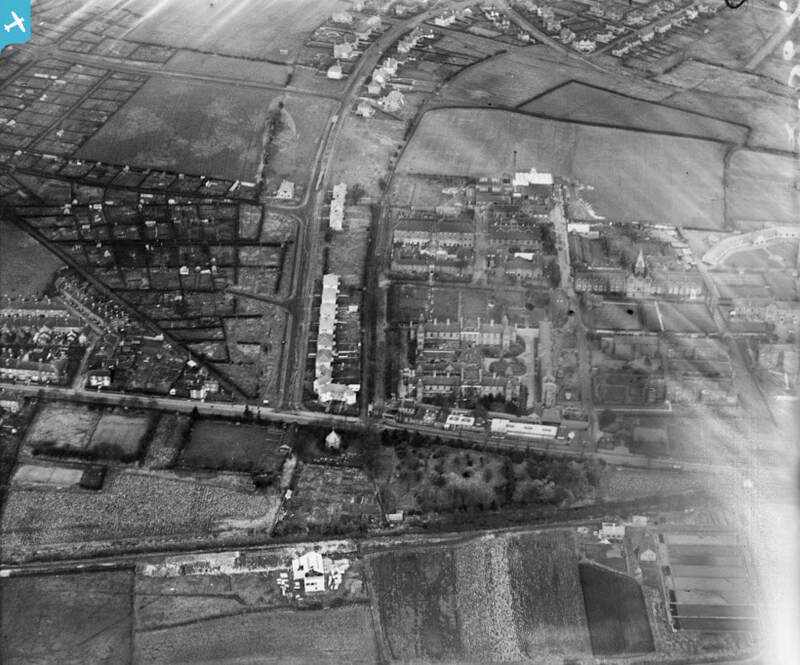 Middle - The Avenue at its junction with the A34 and the Hospital - the building in the lower centre is the Newscastle Refuse Destructor below the line of the remains of the Newcastle Canal. Bottom - THe Cemetery and Infirmary - The Cemetery chapels still have their original spires.